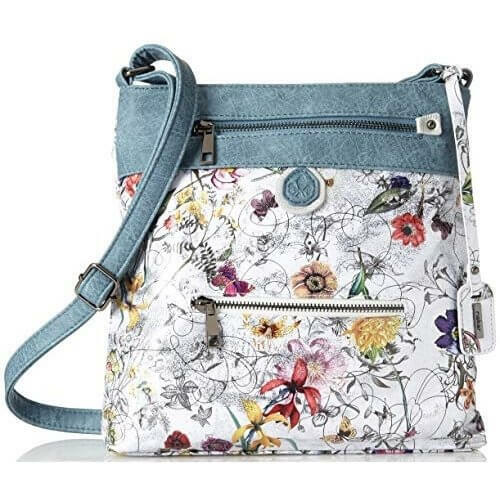 Rieker H1302-90 women's cross body bag. It features a beautiful floral print upper with contrast paneling. Inside, you will find two zipped compartments with an additional zip pocket and phone pocket, plus an external zip pocket. This helps to keep your belongings safe and secure as well as organised. 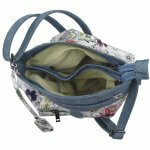 The shoulder strap is fully adjustable, allowing you to achieve the most comfortable length for you. 29 x 26 x 5 approx.